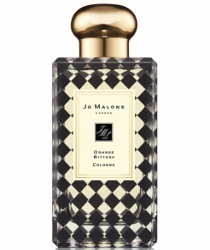 Jo Malone has launched Orange Bitters, a new limited edition fragrance for holiday 2016. Recipe for a warming winter cocktail: take two dashes of bright citrus, add sweet orange and a burst of ripe mandarin. Finish with a splash of bitter orange to reveal rich prune and a base of sensual sandalwood and amber. Orange Bitters reportedly is meant to layer nicely with Pomegranate Noir, which will also be available in a limited edition collector bottle for Christmas. Jo Malone Orange Bitters is available now at Saks Fifth Avenue, $135 for 100 ml Cologne. A matching candle will join the collection by November. Sounds lovely, will definitely give this a sniff. Ooh. Inlike the sound of this! Is fhe launch of this timing-wise similar to Blackberry & Bay and Wood Sage & Sea Salt ex ept for the special bottle? Well, Saks has it but I think the official launch date is November and it’s definitely being positioned as one of their Xmas collection. Plus, unlike those other 2, it is limited edition. I agree with everyone that this sounds fabulous! PN is my favorite Jo Malone and I love to layer. Can’t wait to try it! I am so upset that I am just now hearing about this. This sounds WONDERFUL! Can’t wait to try this one!